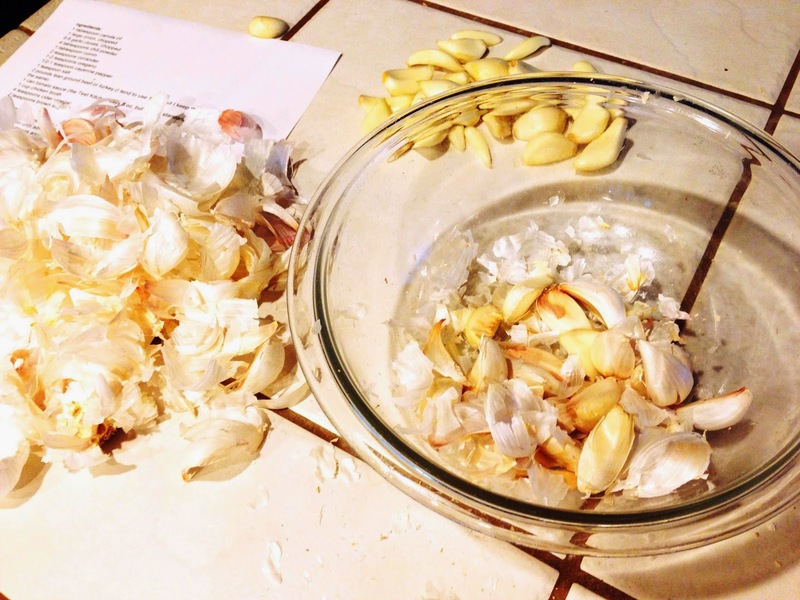 Need to peel a head of garlic fast? Toss it into a large bowl. Top that bowl with another large bowl or lid. And, holding the two bowls together, shake. Hard. That's it. The dry skins will shake themselves off like magic. I hope the health benefits of garlic are all true, because I tend to buy it by the pound. And that makes me most happy.